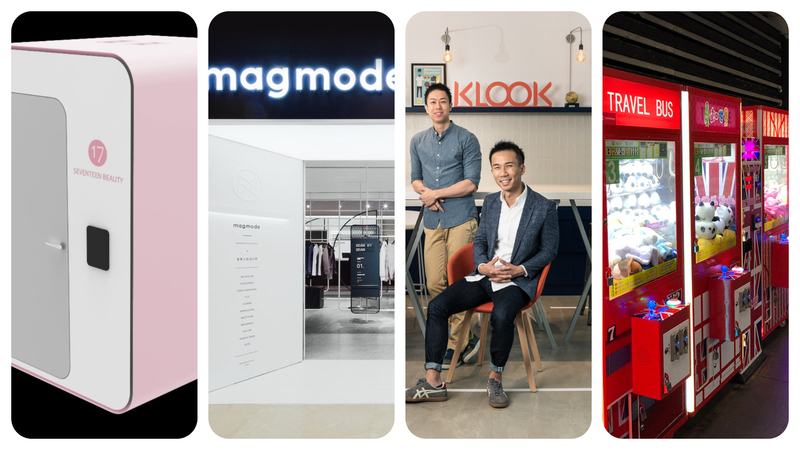 Designer brand incubation and management company Magmode announced on August 9th that they raised USD 30M in Series C funding. The previous shareholder IDG Capital was one of the lead investors. Cathy Capital, the lead investor from last round also participated in the investment. Previously, Magmode raised USD15M in Series B2 funding in August 2017. The new funding will be mainly used to take designer brands to overseas market, to bring in foreign designer brands and to expand stores systematically. Founded by Chongda Cai in March 2015, Magmode is in charge of finance, supply chain, distribution channels and so on, helping independent designers, who are selected by Magmode, save time and energy in daily operation and focus on creativity. Magmode opened its first concept store in Sanlitun in May 2016 and signed with three designers, Masha Ma, Sean Suen, and Jiazheng Xu in the first batch. So far, Magmode has signed with over 80 designers and opened 60 to 70 single-brand stores. Co-sharing beauty care space 17 Beauty announced on August 10th that they raised millions of yuan in angel funding, invested by Dream Chaser Fund and Colony New Yangtze Fund. 17 Beauty is a co-sharing beauty care space for women to do makeup and hair styling, which is set up in shopping malls, office buildings and transportation hubs and equipped with fixed vanity sets, chairs, mirrors, cosmetics and beauty equipment, Currently the average number of daily users is about 25 per unit. The average usage time is about 10 minutes and the customer unit price is around 28 yuan. Self-serve coffee brand YIKA announced on August 6th that they raised CNY40M equity investment from Shanghai Yonghua Capital and CNY40M debt financing in Series A funding. Previously YIKA raised tens of millions of yuan from China Equity Group in Series Pre-A funding. The new funding will be mainly used for market expansion and service optimization. YIKA was established in August 2016, targeting campus. Currently YIKA has set up more than 1000 outlets in over 100 colleges in China. Travel experience reservation platform KLOOK announced on August 7th thtat they raised USD 200M in Series D funding. Lead investors were Sequoia Capital China and Boyu Capital, while TCV, Matrix Partners, Goldman Sachs, and other well-known sovereign also participated in the investment. Previously KLOOK raised USD 60M in Series C funding in October 2017. Launched officially in September 2014, KLOOK provides over 30,000 different travel experience and services in over 200 popular destinations in over 800 countries, targeting Asia Pacific region. KLOOK supports 8 languages and payment system with 36 currencies at present. The monthly visit to its webpage and APP reaches 16 million. The overall platform order amount is expected to reach USD 1 billion by 2018. Self-serve smart equipment platform Leyaoyao announced on August 10th that they raised hundreds of millions of yuan in Series B+ funding. DT Capital Partners was the lead investor and Qianhaiwutong also participated in the investment. Previously, Leyaoyao raised Series B funding from Chengwei Capital in July 2017. Founded in September 2015, Leyaoyao started from providing hardware +Saas mobile payment system for claw vending machines. Currently, Leyaoyao has served over 300,000 claw vending machines in over 600 cities cumulatively. In addition to claw vending machines, Leyaoyao will expand product category to other entertainment equipment, massage chairs, laundry and other services. Smart retail solution provider JUMI AI announced on August 7th that they raised tens of millions of yuan in Series A funding, led by Yongzhouyungu Information Management Company. Established in 2011, JUMI AI provides customized service on smart retail terminals, as well as online operation services. Retail terminals include vending machines and automatic beverage machines. Operation services include replenishment, warehousing, logistics, maintenance, user data mining, advertising marketing, and WeChat mini program management. At present, clients are mainly FMCG brands and new retail operators, such as Yon Ho, Uni-President, Lipton and so on. PREVIOUS POST Previous post: Luxe.Co explores the new Gucci store in Soho, New York: Subvert your imagination of luxury brand stores!